Get your McDonald’s delivery anytime, anywhere! From childhood memories of birthday parties at McDonald’s and Happy Meals to the nostalgia of enjoying McDonald’s late night suppers and breakfasts with family and friends while growing up, the familiar taste of McDonald’s resonates with everybody. Continue to create more wonderful memories with GrabFood’s McDonald’s fast food delivery service and get your McDonald’s delivery anytime, anywhere! Everyone has their favourites when it comes to McDonald’s! Tender Chicken McNuggets dipped in your choice of the iconic Curry Sauce, Sweet and Sour Sauce or BBQ Sauce sounds really great. Or how about the hot and addictive McSpicy burger that keeps people coming back for more? When it comes to dessert, the McFlurry with its smooth vanilla soft serve and crunchy Oreo bits is just perfect to end off your meal. What’s your favourite McDonald’s order? Sink your teeth into McDonald’s Signature Collection of premium burgers made of quality ingredients for a burst of flavours that’ll tantalise the taste buds. 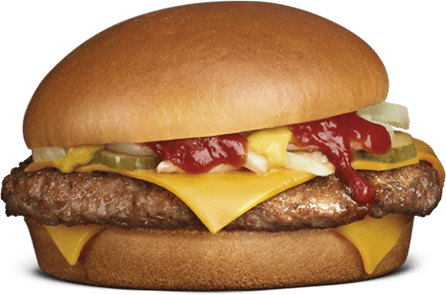 The Original Angus: A 100% Angus beef patty, two slices of melty cheese and slivered onions are sandwiched between aromatic glazed buns for a juicy burger with a classic taste. Classic Angus Cheese: Experience a melt-in-your-mouth sensation as you take a bite of this classic delight! 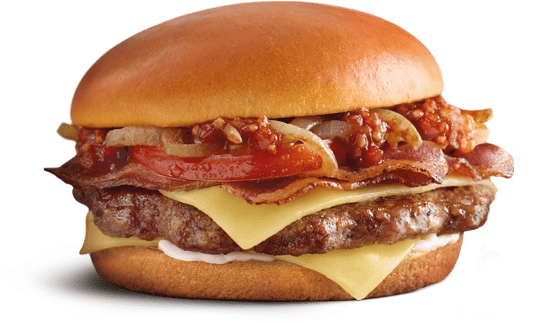 The burger consists of a juicy 100% Angus beef patty between slices of creamy Colby cheese, topped with chicken bacon, tomato jalapeno relish, caramelised grilled onions and creamy garlic aioli sauce. An aromatic glazed bun completes this beauty of a burger. Buttermilk Crispy Chicken: The crispy whole-muscle chicken thigh flavoured with buttermilk is the star of the show! Served together with creamy Colby cheese, romaine lettuce, black pepper mayo and topped with grilled pineapple rings and crisp purple cabbage in between a glazed burger bun, it’s all you ever wanted in a burger. Who says fast food can’t be healthy? At McDonald’s, there are wholesome choices available for the health-conscious. For breakfast, you could opt for the nutritious Red Rice Porridge. The savoury porridge is filled with the goodness of red rice, shiitake mushroom, bean curd, sweet potato and other healthy ingredients to give the dish its complex textures and flavours. Packed full of fibre, protein and vitamins, this is the perfect meal to kick-start your day. For lunch or dinner, eat light with set meals that are under 500 calories! Choose from the tasty Grilled Chicken McWrap Meal that comes with a salad or the fresh Grilled Chicken Salad Meal. 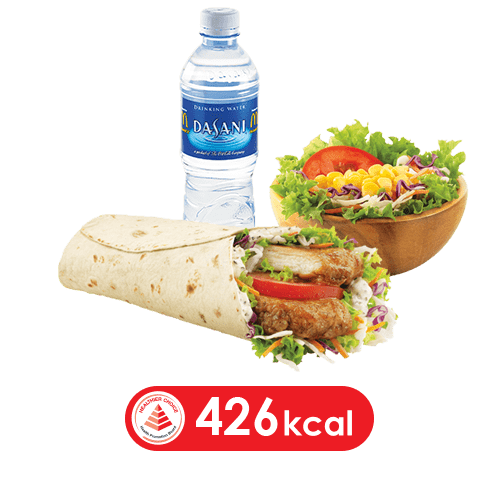 Other sets include classic favourites such as the Filet-O-Fish, McChicken and Cheeseburger coupled with Cup Corn and Dasani Drinking Water, so you can enjoy a delicious meal without the guilt! When you want to learn more about your favourite menu items, McDonald’s convenient nutrition calculator helps you to make informed decisions to suit your dietary preferences. McDonald’s is always coming up with innovative menu items and irresistible deals that keep you coming back for more. 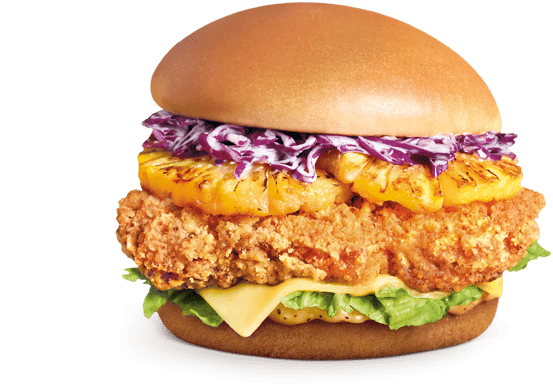 Past items include the succulent Samurai Burger, the creative Nasi Lemak Burger and variations of fries such as the wildly popular Twister Fries and Seaweed Shaker Fries. Keep your eyes peeled for whatever’s next! A new addition to the menu is the Happy Sharing Box, filled with crisp Chicken McNuggets and McWings. Why not order one and bond with family and friends over these yummy bites? Sharing is caring! Always keep a lookout for promotions and new menu items and be pleasantly surprised with what McDonald’s has to offer. Perhaps you overslept and there’s no time to prepare breakfast, or you have a late night sports match to catch with your kakis. Maybe you have a party to throw or you simply just don’t feel like cooking. Regardless of the occasion, McDonald’s is the perfect solution for a quick, convenient and delicious meal that is perfect for sharing. With the GrabFood app, it’s so easy to order your favourite McDonald’s delivery.